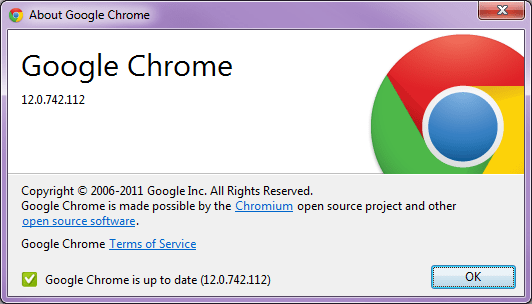 Google Chrome 12 comes with a some features, including support for Google’s Instant Searching and Instant Browsing via the address bar (or “omnibar” as they call it). This means that as you type your query or URL it will be sent off with almost every character press constantly updating the page underneath. If you have this version of Chrome and don’t currently see what I’m talking about you can go into the Options and in the Basic tab look for the Search options. Make sure that “Enable Instant for faster searching and browsing” is turned on. Now you will see what happens as you type URLs into the “omnibox” (the address bar). If you additionally run Fiddler you’ll see how many requests are being made in the background. For example, if I start typing my blog URL, by the time I’ve finished typing my forename it has already concluded that I want to see my blog and I can see in fiddler it has already made the request to http://colinmackay.co.uk/ and my blog appears while I’m still typing. As you can see, sometimes I can type quite quickly and it has to play catch up. Sometimes, I slow enough that the blog responds with a 301 (the server does its best to guess what you want, treating an invalid URL as a sort of search term and redirecting you to its best guess) or a 404 if it can’t resolve the URL. Try this on the BBC News website – As you type URLs you get tons of 404 pages back as the intermediate (non-functioning urls) get responded to! As you can see from the image of Fiddler above there are some requests missing, some were the browser pulling down CSS and images from my blog, others were request off to Google looking to augment the instant browsing feature. 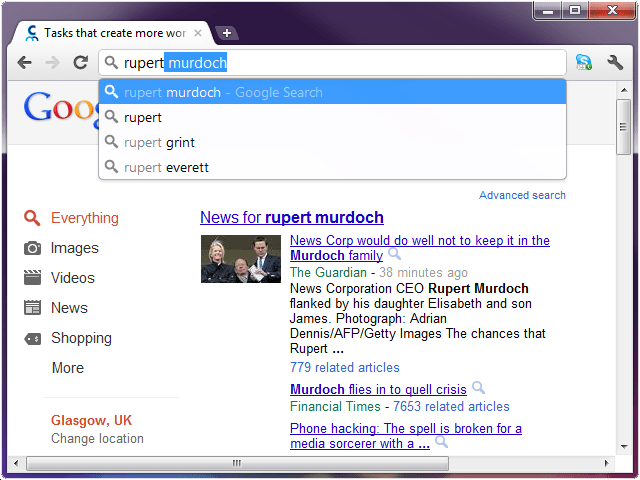 It becomes much more interesting when a search term is used rather than a URL. Incidentally, you don’t get Instant Search or Instant Browsing while in Chrome’s Incognito Windows event if it is turned on. While the expansion of Google’s Instant Search feature into Chrome is fantastic, my first thought when I saw Instant Browsing was that it could be used as a way to mount a DDoS (Distributed Denial of Service) attack on a website especially those that may be running on less robust hosting plans. It is okay for Google to inundate their own web properties from their browser but what about other site owners? If a web site is not expecting the deluge of requests coming from Chrome browsers then it may be saturated dealing with requests that the user isn’t likely to be all that interested in anyway, especially if intermediate results are bringing back 404 responses (or worse 500 responses if the server breaks badly on bad URLs). Google have thought of this and there is a way to tell Chrome to stop sending requests that you don’t want. If you read the Chrome FAQ for web developers, you’ll see there is a section opting out of Instant URL Loading. In short, you detect a request header that Chrome has inserted into the request and if you want to opt out return a HTTP 403 status code. This will then have Chrome blacklist that website for the remainder of the user’s session. This means that if the user comes back another day there will still be that initial hit, giving the web site administrators a chance to opt back in. The important part is the X-Purpose header. This is what tells the server that the browser is rendering the page as part of the Instant Browsing feature. Note: The FAQ states that the header is “X-Purpose: preview” but fiddler shows an extra colon in there (see above). If you are attempting to detect the mode of the browser this may become important to the way you detect it.